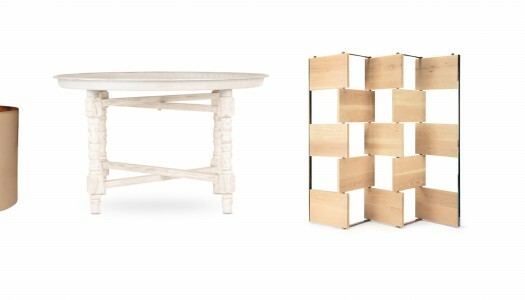 Embrace the trend for multifunctional furniture and give yourself a little breathing room. Take your indoor plants from so-so to stunning with our choice of one-of-a-kind pots. To inspire your next décor purchase, we’ve rounded up a couple of small décor pieces with a styling tip on how to display that treasured piece. It may be time to shift out your old faithful and move a new, well-designed sofa into your living room. Gavin Rajah’s recent collaboration with @home has brought his style of catwalk to beautiful and luxurious homeware. SA Home Owner chats to Rajah about the venture and his Japanese-inspired collection titled Geisha & Koi. Whether you do lunch or dinner, Christmas in South Africa is all about celebrating the festive season with family and friends. @home shares tips to get your home ready for a celebration. As the year winds down, it’s time to step out in style. We share some of the latest outdoor must-haves. More than just a beautiful addition to your bedroom, the Gavin Rajah X @home Prêt à Vivre collection provides skills and employment for women from vulnerable communities. Bring your home right on trend with our line-up of exotic furniture finds. As the year draws to an end, it’s time to give your bedroom – and senses – a relaxing reboot. We share the monochrome essentials that will have you dreaming in colour. From retro-looking walnut wood speakers to macrame plant hangers, we bring you our pick of eclectic homeware finds, guaranteed to add interest and texture to your interiors. Add a final touch to your bedroom or another layer of warmth to your living room with a trendy throw.